New Delhi: Bollywood star Ajay Devgn is on a roll with his signing spree as the star is now all set to feature in the biopic on India’s legendary football coach Syed Abdul Rahim. Devgn, who is featuring in several films which will be released in the next two years, will play the role of Rahim, the football coach and the manager of the Indian national team from 1950 to 1963. Rahim is also regarded as the architect of modern Indian football. ‘Tevar’ director Amit Sharma will direct the yet-untitled film. The movie will be produced by Zee Studios, Boney Kapoor, Akash Chawla and Joy Sengupta. This will be the first film Boney is producing after Sridevi’s death, having backed her last film ‘Mom’ as well. His daughter Janhvi is also making her debut with ‘Dhadak’, and the family is surely into work mode after the tragedy. 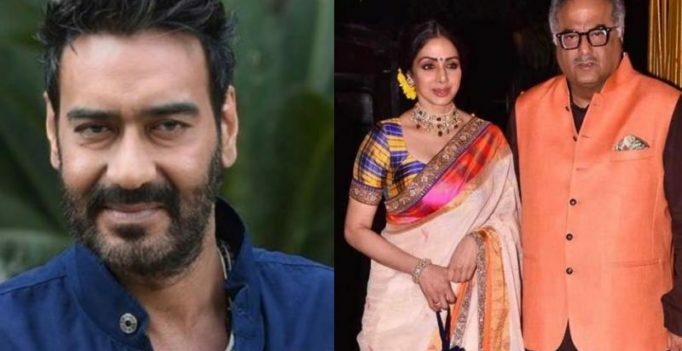 Devgn, who was last seen in ‘Raid’, will also be seen in ‘Total Dhamaal’ this year, followed by Neeraj Pandey’s film on Chanakya, ‘Taanaji: The Unsung Warrior’, and Luv Ranjan’s 2020 Christmas release with Ranbir Kapoor.